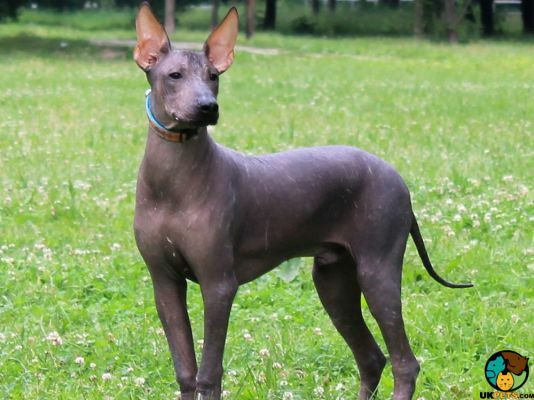 Searching for a Mexican Hairless? 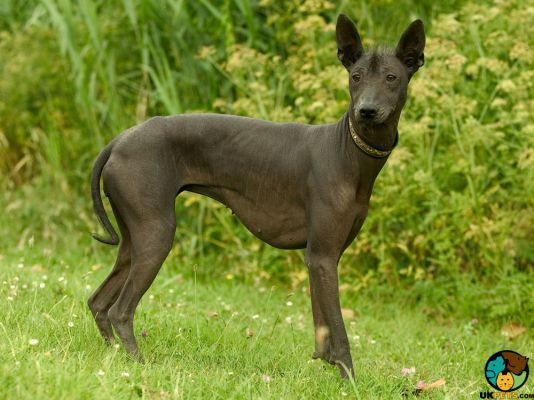 The Mexican Hairless is known as the Xoloitzcuintli in other parts of the world. The Aztecs considered it a sacred dog. It has a unique appearance, highlighted by tufts on the head, feet and tail. There are actually two coat types: the hairless and the coated, which are both fairly manageable to groom. Owners just need to make sure that its skin does not get too oily but at the same time, it should also not be washed too often or it will become dry. Are you thinking of getting a Mexican Hairless? 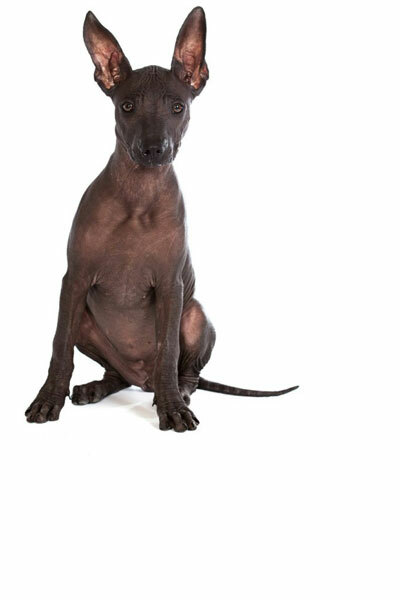 Here is a brief background of this distinctive dog also known as the Xoloitzcuintli. 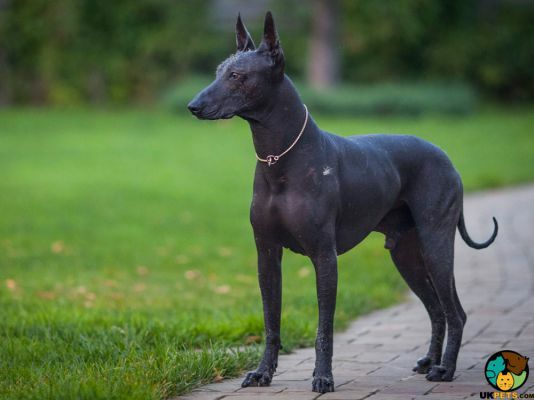 The Mexican Hairless has an interesting history, being a dog considered to be a natural breed instead of being developed by crossing two or more breeds. Experts believe it was simply moulded by natural selection without human intervention, and that it was a result of a spontaneous genetic mutation. 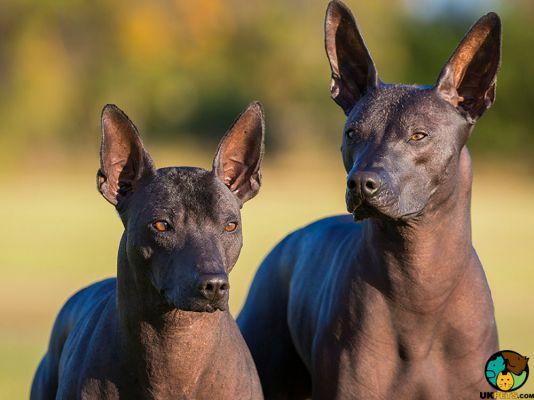 It is known in other countries as the Xoloitzcuintle that translates to “god dog” because the Aztecs believed the gods gave them this breed, which had magical healing powers. In fact, when its master died, it was buried with them because they trusted it knew the way to the land of the dead. Ironically, the Aztecs considered the meat of Mexican Hairless food. The Xolo almost became extinct on various occasions specifically in the 16th century when the Aztecs were conquered, as well as during the Mexican revolution. Thankfully, enthusiasts and breeders were able to increase its numbers and save it from completely disappearing in 1954 although it still remains a rare breed outside Mexico. The breed arrived in the UK in 1956. It is currently registered with The Kennel Club under the Utility Group. The Mexican Hairless is an interesting dog with a distinct appearance, highlighted by its tufts on the head, feet and tail and absence of hair on its athletic yet sturdy body. This medium dog weighs 24 to 60 pounds and stands 40 to 60 centimetres. It has a broad and wedge-shaped head, a very slight stop, nicely developed cheeks, straight muzzles, erect ears that are obliquely set, and a nose that matches the colour of its coat. It has moderately large almond-shaped eyes that also match the colour of its coat. Its eyes give off an intelligent and alert expression. It has a strong jaw with a perfect scissor bite but some dogs do have a level bite. 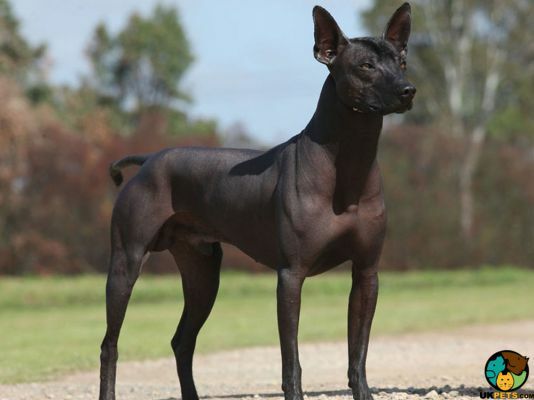 Interestingly, Xoloitzcuintls come in two varieties: hairless and coated. The hairless variety has a smooth and sensitive skin that feels warm to the touch. The skin on its neck is firm, elastic and close fitting that does not have a dewlap. It has coarse tufts of hair on its forehead, face, back of its neck, tips of its tail, and feet. The coated variety has a single coat that is short, flat and close fitting, with very little hair on the belly and inside its rear legs. According to KC standards, the accepted colours for both varieties are black, blonde, bronze, grey, liver, and red. They may also have spots on the bodies, including white spots and markings. With limited amount of hair, plus its cat-like cleaning habits, the Mexican Hairless is generally clean and easy to groom. However, it is important to keep an eye on its sensitive skin and know when best to clean it. There must be a balance since dirt and oil can cause acne while too much washing can cause it to dry the skin out. Care must also be given to its paw pads so the sebaceous glands are unclogged. It will roughly need a bath every two weeks. Apply sunscreen to avoid sunburn but immediately wipe it out after sun exposure. The Xolo’s nails grow quickly so trimming must be done once a week. It is also important to brush its teeth once or twice a week. Regularly check its ears avoid wax build-up and its skin for sores or fleas. The Mexican Hairless is an energetic and intelligent dog that is usually affectionate and develops a bond with one particular person in the family. It is not particularly demonstrative toward other members and can be aloof towards strangers. The Xolo is not suitable for first-time owners because of it is challenging to take care considering its temperament, unique grooming needs and high exercise requirements. It can be quite a handful and takes time to fully mature, which is not until it is around 2 years old. It tends to chew on everything and bark a lot because it likes the sound of its voice. Early training and socialisation are important and owners need consistency and tons of patience until it starts to settle down. Basic commands should be the focus while the Mexican Hairless is still a puppy and wait until it is mature enough for difficult ones. Some owners mistakenly rush to train their Xolo. It is worth knowing that this breed is dependent and does not do well on its own. It is usually gentle toward children but since it is a high-energy dog, adults need to supervise all interactions. It tends to be shy toward other dogs but does okay when socialised early. Dog breeds do have certain predisposed characteristics temperament-wise but other factors contribute to its overall disposition. Environment, training and socialisation can help shape how your dog will turn out to be. A typical serving for an adult Mexican Hairless is 5/8 to 1 3/4 cups of excellent quality dry dog food per day. The amount, type and frequency of feeding should depend on its age, size, build, activity level, and metabolism. In order to know how to properly feed and provide the right nutrients for your dog, consult your veterinarian. According to breed experts, Xolos should be given dog food formulated for medium dogs that is low on fat. Since it loves fruits and vegetables, feel free to incorporate these to its diet. It is also not advisable to feed it table food or scraps as they can cause mineral and vitamin imbalances and make your dog picky. 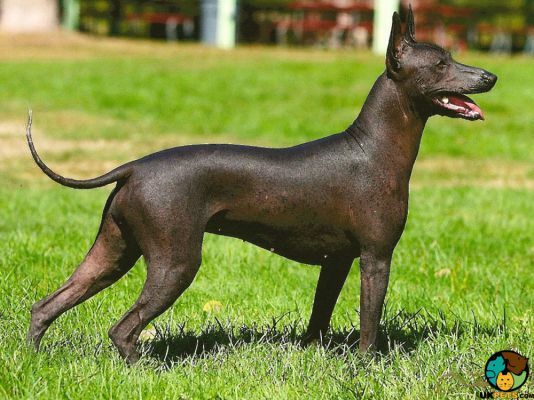 The Mexican Hairless is known as a healthy dog not prone to a lot of congenital and hereditary health problems. However, since it has a sensitive skin, owners need to be extra careful during extremely hot and cold weathers. On average, it usually lives around 12 to 15 years when properly cared for and fed the right amount of high quality food. Mexican Hairless dogs are high-energy dogs that need at least 45 minutes of physically and mentally taxing activities daily. It is important to provide it with the right amount of exercise to avoid unwanted behaviours. Short walks will be a great workout, as well as being allowed to let off steam in a securely fenced area. Since it is sensitive to extreme temperatures, make sure you do not let them out when it is too hot or cold. The Mexican Hairless is one of the rarest breeds in the world. As such, obtaining one can prove to be a challenge as you have to be on a wait list and you have to pay around £800 to more than £1,500 for a well-bred puppy. The price to insure this type of dog starts at £20 a month, which goes higher depending on several factors such as your location, the dog’s health and others. Food costs will only be around £20 to £30 a month for this medium dog. Veterinary care that includes routine check-ups, vaccinations and other preventive care will cost you about £800 in a year especially when your pet would have to be neutered or spayed. As a rough estimate, prepare to pay around £50 to £80 a month to care for a Xolo, depending on the type of insurance you select. Apart from this, you also have to shell out around £200 for basic equipment like a crate, bed, leash/collar, and toys. 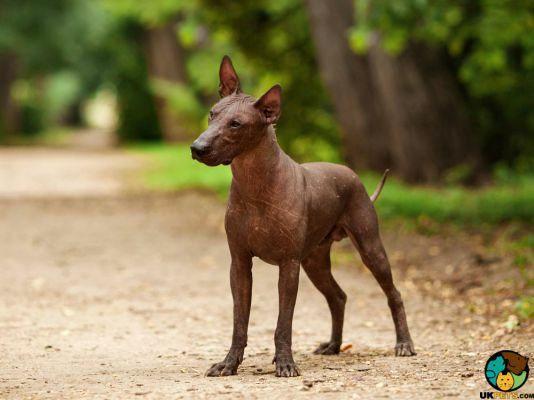 Is a Mexican Hairless Right for You? The Mexican Hairless is a rare and unique dog breed. 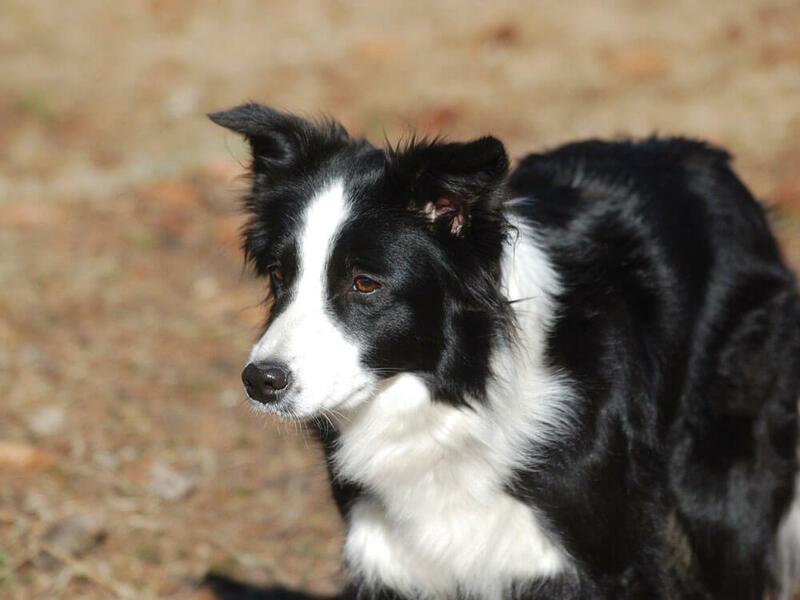 This breed has a challenging temperament and is better off to experienced dog owners. It is fairly easy to groom but owners need to pay attention to its sensitive and fragile skin. The Xolo needs at least 40 minutes of exercise daily. It tends to be affectionate and develop a special bond with only one particular person.